Time is money – and being locked out of your property or other items (like a safe) costs you a lot of both. 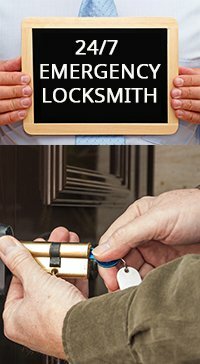 Olmsted Falls Locksmith Store understand the value of your time and can handle a commercial lock out very quickly. Our team comprises of experienced, well-trained professionals who can resolve the situation quickly and effectively. We have handled a large number of lockouts in Olmsted Falls, OH in the past decade we’ve been active here. Our service is known for being trustworthy, reliable, and lightning-quick. We can assist you with acommercial lock out 24 hours a day and 7 days a week. Our mobile units can get around Olmsted Falls and surrounding areas very quickly, and so our response times are very fast. On an average, it takes us 30 minutes to get to your location. After our team arrives, we’ll take a quick look at the problem and then begin work immediately. We carry all the required tools with us, so a single technician can handle a commercial lock out. We’ll use our tools and expertise to get your doors open quickly. If the commercial lock out was caused because of a lost key, we can make you a new one in a matter of minutes. If the problem was caused by a malfunctioning lock, we can attempt to repair it and if that doesn’t work, we’ll just replace it with a brand new one. We can also repair doors and garage doors that are off track or damaged in some way. Apart from opening entry doors, our locksmiths can also open other items including safes and file cabinets. If you’ve forgotten the combination to the safe, our locksmiths will attempt to open it without damaging the lock or door. Safes, though, are meant to be impregnable and it’s hard to get most open without drilling them or sawing them open. If that’s the case, we’ll do our best not to damage the contents inside. File cabinets, on the other hand, are much easier to unlock. Our locksmiths are well-trained and highly experienced. We provide them with many hours of hands on training. Our team members have handled many commercial lock out situations over the years, so they know what they’re doing. We also outfit them with the latest equipment, which allows them to get most doors open without causing any damage to it or the lock. 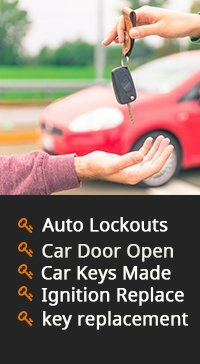 For help with lockouts, call 440-703-9039 !